When Leroy 'Chinese' Gordon breaks into a professor's lab at the University of Los Angeles, he's after some pharmaceutical cocaine, worth plenty of money. Instead, he finds the papers the professor has compiled for the CIA, which include a blueprint for throwing a large city into chaos. But how is the CIA to be persuaded to pay a suitable ransom, unless of course someone actually uses the plan to throw a large city into chaos-Los Angeles, for instance? 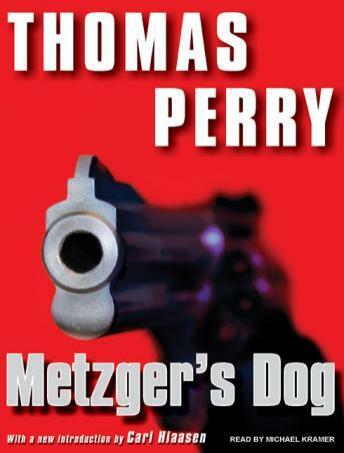 Metzger turns out to be Dr. Henry Metzger, not a human but rather a cat belonging to Chinese Gordon a non Asian human! As confusing as this may seem, the (unnamed) dog is probably the least prominent character in this tale. The main characters are the crooks (good guys) versus the FBI (bad guys) who come up against each other in a robbery where the loot turns out to be more than expected. Twists, turns, false leads and misdirection make for an entertaining story. It all is approached in a humorous fashion and no one is seriously hurt.